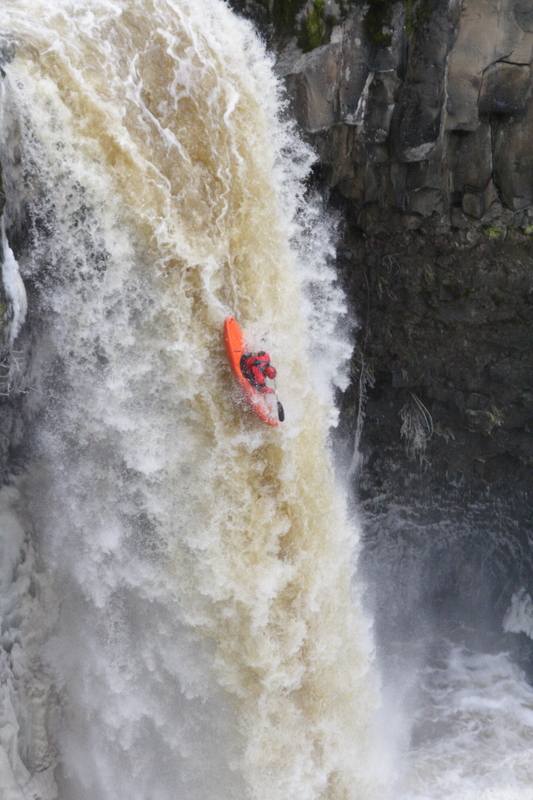 After years of keeping an eye on this waterfall Erik Boomer attempted the first descent of Outlet Falls on Outlet Creek. (a Klickitat trib). Moments later Ben Stookesberry dropped in and before the end of the day, LJ Groth joined in the fun also. 3 descents of Outlet on the first Day it was run gave motivation for others to come and take a look. Luke Spencer and Cody Howard stepped up to Outlet Falls. The flow was a little lower than the previous day and it was much colder! Afterward we had enough time to go back to Husum and put on Rattlesnake Creek.